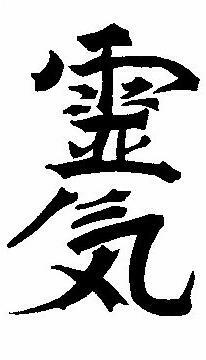 Dr. Mikao Usui, or Usui Sensei as he is called by his students in Japan, is the founder of the Usui System of Reiki. He was born August 15, 1865 in the village of Yago in the Yamagata district of Gifu prefecture, Japan. Usui Sensei had an avid interest in learning and worked hard at his studies. He traveled to Europe and China to further his education. His curriculum included medicine, psychology, and religion. It is thought that he was from a wealthy family, as in Japan only the wealthy could afford to send their children to school. Eventually he became the secretary to Pei Gotoushin, head of the department of health and welfare who later became the Mayor of Tokyo. The connections Usui Sensei made at this job helped him to become a successful businessman. In 1914 Usui’s personal and business life was failing. As a sensitive spiritualist, Usui Sensei had previously spent much time meditating at power spots on Mt. Kurama. So he decided to travel to this holy mountain, where he enrolled in Isyu Guo, a twenty-one-day training course. We do not know for certain what he was required to do during this training, but it is likely that fasting, meditation, chanting and prayers were part of the practice. In addition, we know there is a small waterfall on Mt. Kurama where even today people go to meditate. This meditation involves standing under the waterfall and allowing the waters to strike and flow over the top of the head, a practice which is said to activate the crown chakra. Japanese Reiki Masters think that Usui Sensei may have used this meditation as part of his practice. In any case, it was during the Isyu Guo training that the great Reiki energy entered his crown chakra. This greatly enhanced his healing abilities and he realized he had received a wonderful new gift – the ability to give healing to others without depleting his own energy! Please refer to Reiki, The Healing Touch, by William Lee Rand for a detailed description of Reiki and how Dr. Usui rediscovered it. Dr. Hayashi was a retired naval officer. 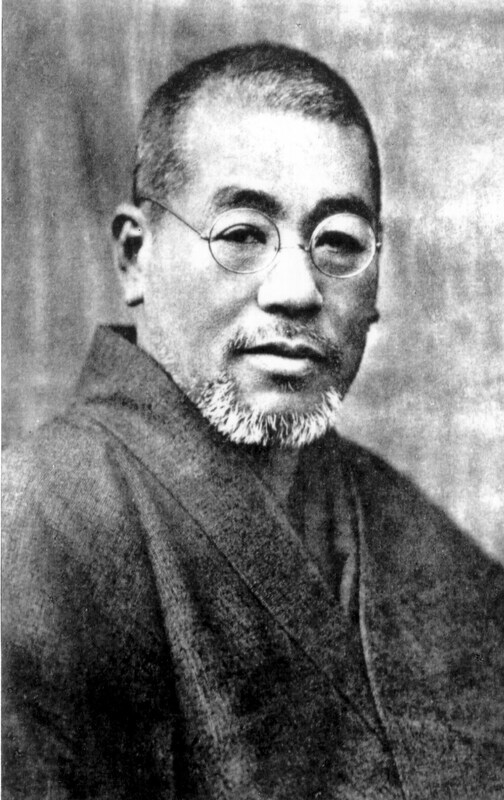 He received the Reiki Master initiation from Dr. Usui about 1925 at the age of 47. Up to this point, the Usui system of healing consisted of the energy itself, the symbols, the attunement process and the Reiki ideals. After being asked to do so by Usui sensei, Dr. Hayashi went on to develop the Usui system of healing. He opened a Reiki clinic in Tokyo and kept detailed records of the treatments given. He used this information to create the standard hand positions, the system of three degrees and their initiation procedures. It is also thought that he added the master symbol. Hawayo Takata was born at dawn on December 24th, 1900, on the island of Kauai, Hawaii. Her parents were Japanese immigrants and her father worked in the sugar cane fields. She worked very hard as she was growing up. She eventually married the bookkeeper of the plantation where she was employed. His name was Saichi Takata and they had two daughters. In October of 1930, Saichi died at the age of thirty-four leaving Mrs. Takata to raise their two children. In order to provide for her family, she had to work very hard with little rest. After five years she developed severe abdominal pain, a lung condition and had a nervous breakdown. Soon after this, one of her sisters died and it was the responsibility of Hawayo to travel to Japan where her parents had moved to deliver the news. She also felt she could receive help for her health in Japan. She took a steamship and was accompanied by her sister-in-law. After informing her parents of the death of her sister, she entered a hospital. It was found that she had a tumor, gallstones, and emphysema. She rested for several weeks to prepare for the operation. On the operating table, just before the surgery was to begin, Hawayo heard a voice. The voice said, “The operation is not necessary. The operation is not necessary.” She had never heard a voice speak to her like this before. She wondered what it meant. The voice repeated the message a third time even louder. She knew she was wide awake and had not imagined the voice. It was so unusual, yet so compelling that she decided to ask the doctor. She got off the operating table, wrapped a sheet around herself and asked to speak to the doctor. When the doctor finally came, she asked if he knew of any other way that her problems could be helped. The doctor knew of Dr. Hayashi’s Reiki clinic and told Hawayo about it. This was something she wanted to try. At the Reiki clinic, she began receiving treatments. She had never heard of Reiki before and did not know what it was. Using their Reiki hands the practitioners could sense what was wrong with Mrs. Takata. Their diagnosis very closely matched the doctor’s at the hospital. This impressed her and gave her confidence in what they were doing. Two Reiki practitioners would treat her each day. The heat from their hands was so strong that she thought they were using some kind of equipment. She looked around, but saw none. Seeing the large sleeves of the Japanese kimono one of the practitioners was wearing, she thought she had found the location of the equipment. She grabbed the sleeves, but found nothing. The startled practitioner wanted to know what she was doing and when she explained, he began to laugh. Then he told her about Reiki and how it worked. Mrs. Takata received daily treatments and got progressively better. In four months, she was completely healed. Impressed with the results, she wanted to learn Reiki. However, it was explained that Reiki was Japanese and that it was intended to stay in Japan. It could not be taught to an outsider. Mrs. Takata talked to the surgeon at the hospital and convinced him to ask Dr. Hayashi to allow her to learn Reiki. Since Dr. Hayashi wanted to teach Reiki to another woman besides his wife, and since Mrs. Takata was so persistent, he decided that she should be the one. In the Spring of 1936, Mrs. Takata received First Degree Reiki. She worked with Dr. Hayashi for one year and then received Second Degree Reiki. 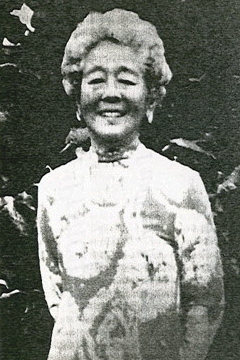 Mrs. Takata returned to Hawaii in 1937. She was soon followed by Dr. Hayashi and his daughter who came to help establish Reiki in Hawaii. 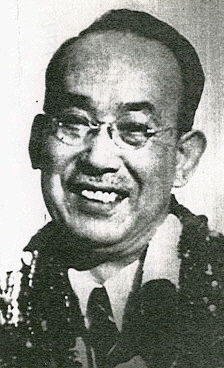 In the Winter of 1938, Dr. Hayashi initiated Hawayo Takata as a Reiki Master. She was the thirteenth and last Reiki Master Dr. Hayashi initiated. Between 1970 and her transition on December 11, 1980, Mrs. Takata initiated twenty-two Reiki Masters. Below is a list of the Reiki Masters she initiated. This is the list she gave to her sister before she passed through transition. The original twenty-two teachers have taught others. In the decade since Mrs. Takata experienced transition, Reiki has spread rapidly in the West. It is now practiced throughout North and South America, Europe, New Zealand, Australia and other parts of the world. There are now an estimated 200,000 Reiki Masters with as many as 2,000,000 people having been initiated into Reiki throughout the world. Unless otherwise noted the text above is reprinted from Reiki the Healing Touch by William Rand. Permission is granted to reprint portions of this text if original source is cited: Rand, William. Reiki, The Healing Touch. Southfield, MI: Vision Publications, 1991. Do All Healers Use Reiki? All healers use life force or Ki, but not all use Reiki. Reiki is a special kind of life force that can only be channelled by someone that has been attuned to it. It is possible that some people are born with Reiki or have gotten it some other way. However, most healers who have not received the Reiki attunement from a Reiki Master are not using Reiki but another kind of life force. People who already do healing work consistently report an increase of at least fifty percent in the strength of their healing energies after taking the Reiki training. This was verified for me when I first began teaching Reiki. There were two clairvoyant healers I knew who had highly developed abilities. They could easily see the life force flowing through a person’s body, as well as see the aura and chakras. They could also communicate with a person’s guides and Higher Self. They were adept at moving negative psychic energy out of the body as well as channelling healing energies. In my twenty years of metaphysical work, they were the most accurate and effective psychic healers I had met. They told me later they had doubted there was anything I was teaching they couldn’t already do, but that they took the Reiki training anyway, simply to support me in my new work. After the attunement, they were amazed at the difference they could feel between the healing energies they had been using and Reiki. They said the Reiki energies were more powerful and of a much higher frequency. They noted also that Reiki didn’t have to be guided like the other healing energies they were using, and that the Reiki energies began flowing without having to enter an altered state. They also indicated the attunement process itself was a powerful healing experience, releasing restrictions relating to their healing work they had unknowingly acquired when they were healers in past lives. They were very pleased they had taken the class. Because Reiki is guided by the God-consciousness, it can never do harm. It always knows what a person needs and will adjust itself to create the effect that is appropriate for them. One never need worry about whether to give Reiki or not. It is always helpful. In addition, because the practitioner does not direct the healing and does not decide what to work on, or what to heal, the practitioner is not in danger of taking on the karma of the client. Because the practitioner is not doing the healing, it is also much easier for the ego to stay out of the way and allow the presence of God to clearly shine through. Because it is a channelled healing, the Reiki practitioner’s energies are never depleted. In fact, the Reiki consciousness considers both practitioner and client to be in need of healing, so both receive treatment. Because of this, giving a treatment always increases one’s energy and leaves one surrounded with loving feelings of well-being.